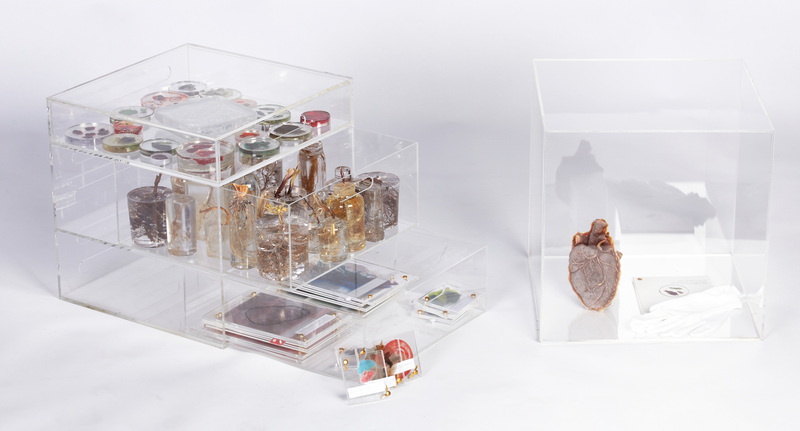 The domicile of invisible processes reflects the source of bodily composition – cell structure, DNA – as well as disease and medical processes. This expresses my personal story, living with Crohn’s disease and anemia – conditions that would be much more severe without the microscopic healing processes that take place within my body. My aim is to recognise the overwhelming complexity and capability of the human body, as well as the fragility of genetic information. 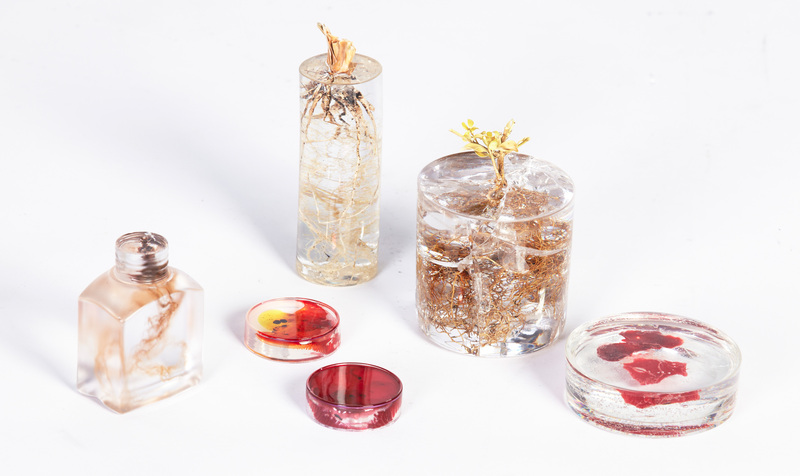 Plant roots represent DNA structure and growth, colours symbolise cells, and translucency is emblematic of looking through, as if viewed under a microscope. 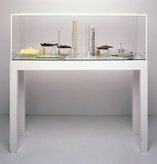 Janet Laurence places scientific objects in her installation The matter of nature and displays them in an art gallery as a work of art. How do you respond to this work? How would you react if this installation were placed in another environment? Suggest the meaning of this work and how the audience’s response is integral to its understanding. Holly Payne references a personal connection to her body of work. Read her artist statement and discuss the connection between artmaking and the individual. Has she been successful in portraying the concept of her work?